Oasi di Galbusera Bianca Agriturismo near Milan, Lombardy, Italy, is in the heart of the Montevecchia Park and its beautifully wild countryside. The B&B accommodation is in a lovely old style farm villa and the rooms are beautifully styled; all pastel shades and carefully chosen furniture and art pieces, they are gorgeously rustic. The farm is organic and eco-friendly, 50 acres in total, and grows a range of traditional regional fruit and vegetables. The food here is very highly rated, from breakfast to evening meals using locally sourced, organic ingredients much of which come from their own farm. They also offer cooking, diet and nutrition classes and have a range of activities to keep children amused. They have a selection of rooms to sleep up to four people. 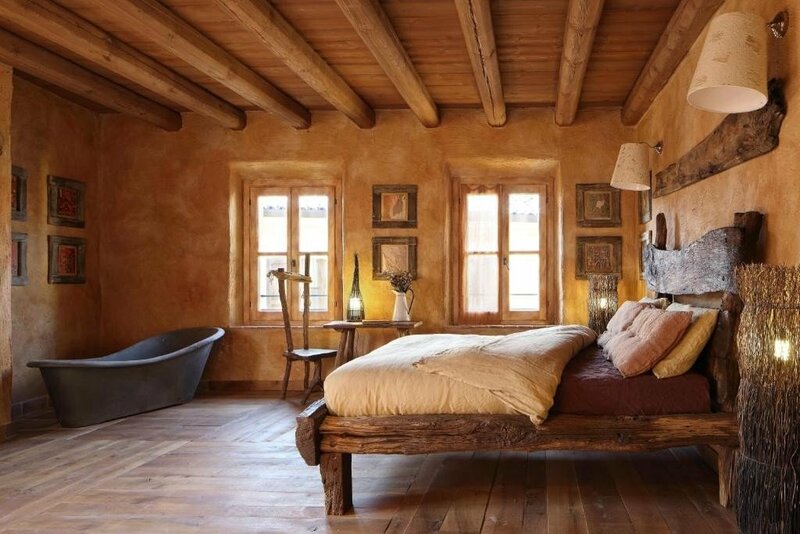 All of them are uniquely, and beautifully, styled with rustic wooden furniture and artistic flourishes everywhere. The gardens are lovely too and are surrounded by the olive trees, orchard groves and vegetable gardens of the farm. Guests are welcome to explore and you can arrange guided tours too where you can learn a little about organic farming and food production. The food is here excellent; organic of course, and as wholesome and healthy as possible. Most of it is vegetarian too and homemade; things like goat’s cheese, savoury tarts, sorbets and homemade bread. As mentioned above they also do cooking classes and can provide lots of good advice on diet and nutrition. The agriturismo is conveniently near Milan, Lombardy’s dynamic capital, just 40km in fact, but is a world away in any other terms. It is, as the name suggests a veritable oasis from the city; peaceful, tranquil and surrounded by forests and fields of green. There are a number of nice little villages in the surrounds, nature parks like Monte Barro and Adda Nord for example, and lots of hiking routes and nature trails. The friendly staff at the agriturismo can give you plenty of good advice about the nicest places to go, and they also rent bikes at the farm.